Bunny Babies and other Easter additions…. Can you believe I haven’t shared any new pattern in 2015? This year started with amigurumi lessons (and there are still more than few coming), and even though I worked on my new patterns all these time, haven’t found time to share them here. Have to break that “magic circle”! Easter is month ahead but I think, it’s not too early to start with preparing and sharing something cute for that occasion. 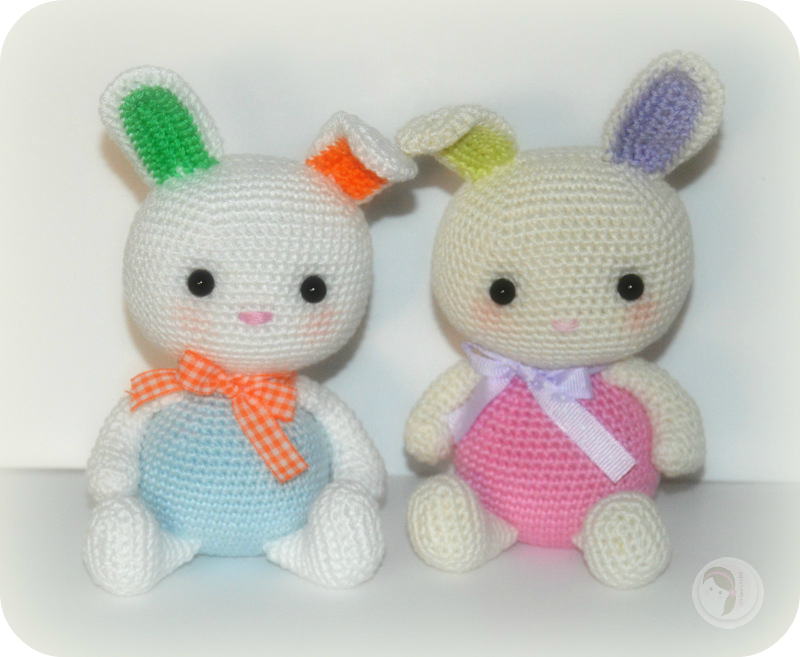 When making these bunnies I really felt as making baby toy, so they ended up as Bunny Babies and are suitable for nursery rooms and baby showers, so not necessarily Easter toy to make. If making as baby toy, stay alert when adding eyes. I suggest to embroider ones, if baby will play with toy (and skip the ribbon). If you feel as buying me cup of coffee or skein of yarn, please feel free to visit the shop. Thank you for stopping by and taking time to read this post. Hope you like new patterns and will find something for you and your loved ones. Wishing you all wonderful Friday and happy, blessed weekend to come! Previous post: Thumb Wrestling Champions!!!! They are so cute, I have to make them! These are adorable. Your creations just get cuter and cuter.